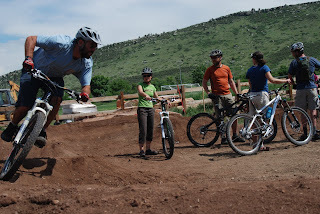 Lyons Outdoor Games: Lyons Bike Park Is A Go! 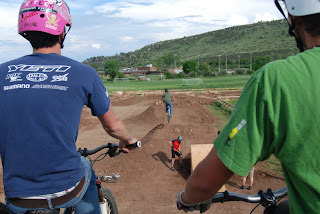 Thanks to everyone that showed up to make the bike park build day such a success. We had about 40 people show up to help get this thing whipped into shape. 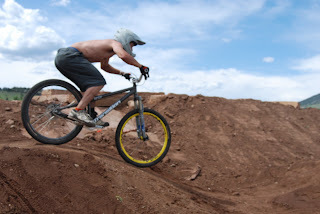 We managed to get the pump track in place and burned in, two of the table tops formed and the second ramp for the big jumps built. Not to mention all of the fun we all had riding the park. 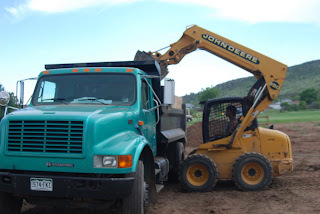 Thanks so much to Lee McCormack, Lefthand Excavating, Dave Cosgrove, BMA, Yellow Designs, Hatrock Excavating and everyone that showed up!